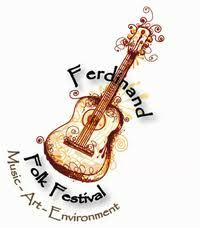 Why you can’t miss the Ferdinand Folk festival! It’s going to be a blast! Don’t miss it! While you may have heard some buzz about the Ferdinand Folk festival you will want to read some of the facts that make it one of the most loved events in the greatest city in the nation! Read below for the top 8 reasons you don’t want to miss out on the fun and excitement at this great event! Nestled among the hills and fields of southwestern Indiana, the Ferdinand Folk Festival is an earth-friendly and family-friendly event promoting music, the arts, and the environment. This free festival, located in Ferdinand’s 18th Street Park, will feature nationally-acclaimed musicians as well as exceptional local and regional acts. Patrons will experience a rich variety of acoustic music on the stage. In nearby booths, local artists and artisans will display and sell their work, area gardeners and farmers will sell fresh produce, and groups dedicated to creating vibrant communities and a sustainable environment will provide education on a variety of topics. Fun activities for children will also be available in the park. This year’s Main Stage headliner is singer-songwriter Todd Snider.